Our friends and family have helped us build a unique straw bale constructed winery. 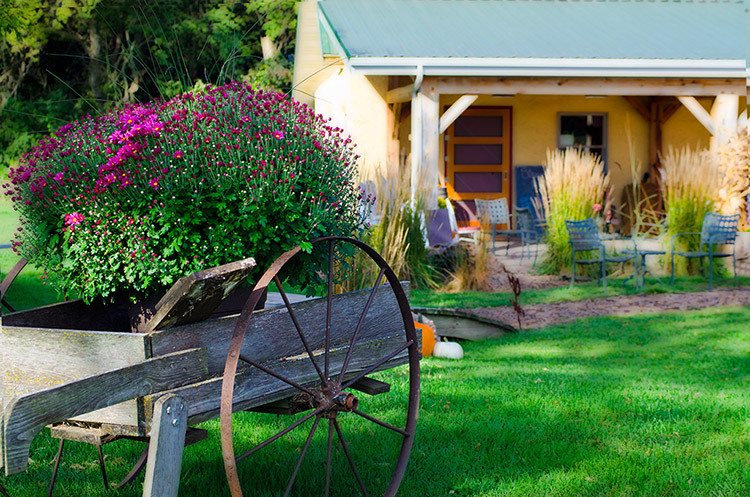 Tucked away between a 100-year-old barn, shelter belt, and grape vines, this winery, its farm setting and surroundings may remind you of a simpler time. 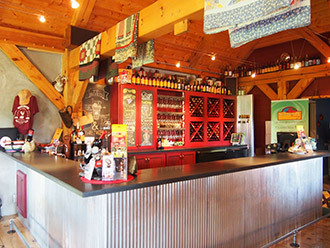 Imagine a winery in South Dakota, made of strawbales. The remarkable insulating properties of strawbales means we are able to reduce the energy needs of the winery and recreate the controlled environment of the cellars and caves that have always played an important part in the maturation of great wine. This innovative building material marries our commitment to environmental sustainability and production of fine wine. So come out and embrace the environment we have created. Take a tour, see what we have to share with a glass of wine or a tasting of something new.